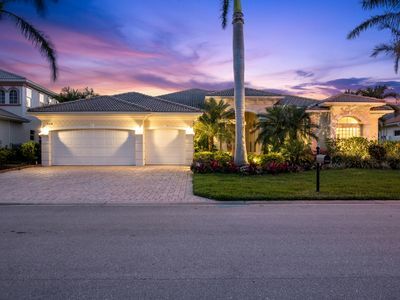 Luxury single family home in gated community inside Miromar Lakes with a private pool, hot tub and beach looking out at beautiful Lake Como. Enjoy a professionally decorated home with all the amenities anyone can ask for including beautiful screened lanai, outside covered grilling area with fridge and tv, poolside bathroom. The house consists of 3 spacious bedrooms all with private bathrooms, a study with a foldout couch, 4.5 baths, bar, wine fridge, and open floor plan combining kitchen, family room and eating area that is great for entertaining. Laundry room with high efficiency washer, 2 car garage and 5 bicycles. Miromar Lakes Beach and Golf Club is the #1 Community in the Unites States and #1 Clubhouse; awarded the Gold Awards for Community of the Year. Enjoy 700 acres of freshwater lakes, 3 miles of private white sandy beach, 2 restaurants, 10,000 sq ft zero edge pool, spa, fitness center, tennis, volleyball, basketball, children's playground, bocci ball and fishing. 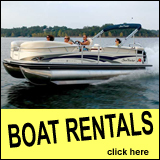 Marine services offers pontoon boats, kayaks, paddle boats, sailboats and paddle board rentals. Certain rental restrictions apply. Please contact us directly at Kathleenml@aol.com or at 216-406-1867. 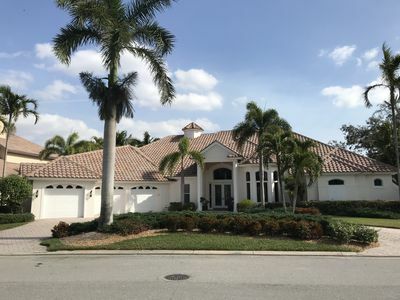 Montebello Coach Home (4br/3bth/Sleeps 8).... Miromar Lakes Beach & Golf club's most desirable location! Located just 100 yards from the Resort Clubhouse! Enjoy the view of the lake, creek or lagoon from the comfort of your 2nd-floor unit. Professionally decorated by Restoration Hardware offering over 3,600 sq. 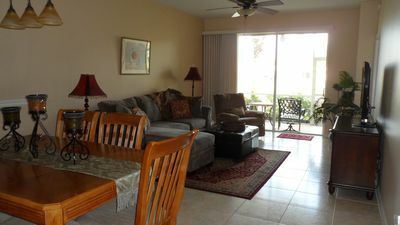 ft. of open living space and very large screened in lanai with teak 10 seat dining table and sofa couch seating area. 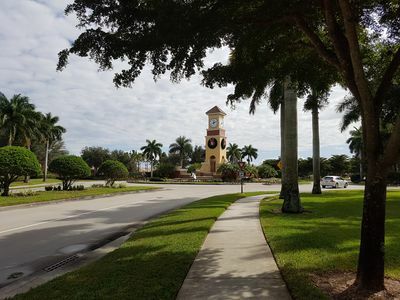 Short 1-minute walk to all the Miromar Lakes amenities from the white sandy beaches, pool/hot tub, clubhouse, fitness facility, European spa, freshwater lakes, basketball court and clay tennis court along with a few minute drive to premier golf course and outlet center. Residents of Montebello are allowed access to all finest amenities! Contact owner for inquiries by Miromar residents and date timeframes less than minimum periods or those noted on the calendar as unavailable. Enjoy resort style living in your own private fully equip coach house style, with water views in the #1 resort in the USA. convenient first floor. 2 Bedrooms plus den with pull out, 2 Full baths with a 2 car garage. Fully furnished with Tommy Bahama furniture. Best condition. Recently updated , stainless steel appliances, new tile floor in master bedroom. New prego flooring in guest bedroom and den. NEW 2 seater comfortable leather recliner. Absolutely stunning resort setting includes all amenities you will need. Infinity pool, bar and fitness center, restaurants, tennis facility, boating, fishing, golfing. All is located within minuets of Southwest Florida International Airport. Golf coast Florida is within walking distance from our condo. Miromar outlet mall is also a quick ride away! 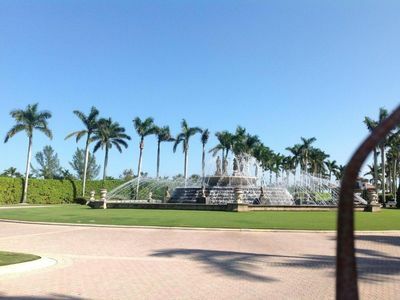 We are all within with gates of Miromar Lakes property. Luxurious 3 bedroom 3 bathroom home with high end finishes is located on a quiet cul-de-sac in the upscale community of Miromar Lakes. Open floor-plan with tasteful decorated living featuring a flat screen TV and surround sound. Fully equipped kitchen with breakfast bar and island. Enjoy the gorgeous lake and golf-course view from the screened in pool area with heated pool and spa. The lanai is very private and has many sun lounging areas as well as a fully functioning outdoor kitchen! 2 parking spots in attached garage. Realty Group of SWFL property code MIRO18021. Wi-Fi available. Miromar Lakes is a luxury gated community featuring 700-acres of freshwater lakes with beautiful white sandy beaches. A true destination community, Miromar Lakes is widely recognized as one of the finest communities in Southwest Florida and voted the #1 Community in the United States. Water-ski, swim, sail, kayak or fish on the 700 acre freshwater lake, hone your tennis skills, enjoy a luxurious treatment at the full-service European style wellness spa, attend one of hundreds of events on the social calendar or simply relax in the dreamy beach-side cabanas on our three miles of private white sand beach. It's all here, in one luxurious location unparalleled in Florida! Miromar Lakes is located on Ben Hill Griffin, close to Gulf Coast Town Center, Germain Arena and Miromar Outlets with great shopping & dining! All our properties have a strict non-smoking policy. 90 day minimum stay. **Many communities require application fees. These fees are not included within the quote, please call office for more information ONLINE BOOKINGS: If booking online please allow us 24 hours or until the next business day to confirm your reservation. Your reservation is not confirmed until speaking with a member of our team. 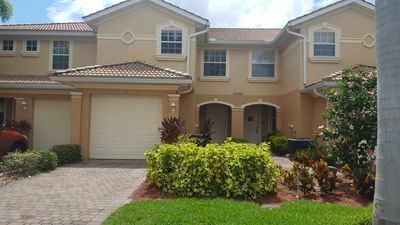 Beautiful never rented 3 bedroom 3 bath en-suite second floor unit with elevator over looking Miromar Lakes golf course, steps from community pool, fitness room, card room and club house in San Marino Neighborhood. Miromar Lakes The #1 Gated Residential Community in the USA! 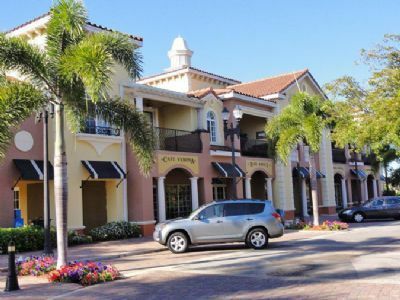 Just north of Naples & Estero is the ideal location for dining, shopping, entertainment and more. Best of all, we're just 10 minutes from Southwest International Airport. San Marino is a private gated neighborhood of luxury coach homes. Community amenities include two clubhouses, a state-of-the-art fitness center, a card/conference room, outdoor kitchen and heated swimming/lap pool and spa. Access to: Beach Clubhouse located directly on the water's edge, offering gourmet evening dining indoors or under the stars with seating for 250 people, an indoor/outdoor lounge with wine room, a library, billiard room, card room, 50-seat theater and a business center. A private "beachside" dining room provides intimate seating around a fireplace and has French doors that open up to the beach and Lake Como. Blue Water Beach Grill, the perfect oasis for sharing memorable moments with family and friends. Enjoy a private club atmosphere where it is easy to make new friends and be part of an active lifestyle with other members. Overlooking Lake Como, the Blue Water Beach Grill is a magnificently designed open-air Mediterranean pavilion with boat docks offering contemporary fare and tropical drinks served in a casual, resort atmosphere. The Grill is an ideal spot for lunch, sunset dinners and evening cocktails with panoramic lake and beach views. Or, if you desire, your choice of refreshments will be cheerfully served as you lounge poolside or beachside in a private cabana. This is outdoor living at its finest. The Spa combines the best of traditional and innovative therapies that will stimulate your mind, body and spirit. At the Spa, wrap yourself in luxury in a Miromar Spa robe and surrender to seemingly endless pampering. Indulge yourself with a comprehensive menu of massage and spa therapies in one of our soothing treatment rooms or outdoors, in, a private Zen garden. The European-Style Spa offers a full range of massage therapies, facials, body wraps and salt-glow scrubs, plus a full service beauty salon. Fitness Center features top-of-the-line Cybex weight training machines, cardiovascular equipment with individual TV monitors, aerobics, yoga and Pilates studios. Renovated house close to everything! Beach, shopping, outlets, Florida Gulf Coast University, SW Florida International Airport. Hot tub and pool table in private screened porch. Cable flat screen TVs in master bedroom and living room with cable. King bed has a nice memory foam mattress and fold out couch has a memory foam mattress top also! Plenty of parking. A/C and heat. Near Bonita Beach and Fort Myers Beach. Near Estero, Bonita Springs, and Naples. A bottle of wine will be waiting for you! Gorgeous upgraded and spacious 2 bedroom plus den, 2 bath single family home in the beautiful community of Grandezza. This home has 2,075 sq. ft. of living area with an open floor plan, tiled living area, a formal dining area & breakfast nook. Tray ceilings in the family room, living room, master suite & foyer further the gorgeous & classy feel of this picture perfect home. The master bath features extras such as: upgraded wall tile, chrome with polished brass faucets, and gold shower enclosure. The large rear lanai/patio area faces Northern direction, and also has dining table with seating for eight people. Private heated pool, spill over hot-tub. Gas grill for guests. Realty Group of SWFL property code GR12597. Wi-FI available. Grandezza is a gated community located on Ben Hill Griffin Parkway, north of Corkscrew Road in the heart of Estero, FL and is easily accessible from popular locations including Southwest Florida International Airport, Florida Gulf Coast University, Germain Arena, beaches and much more. It sits on more than 425 acres with 23 lakes, surrounded by acres of lush wooded preserve area. Grandezza provides miles of winding paths for walking, or biking. Just south of the community is Grande Oakes shopping mall with a grocery store, as well as Miromar Outlets, so excellent location to shopping and dining! * * There is a mandatory transfer of club/social membership for all Guests of Grandezza which includes full use of the Clubhouse facilities; dining, use of the boardroom, multi- media center, meeting/party rooms, living room, fitness facility, swimming pool and six Har-Tru tennis courts. All our properties have a strict non-smoking policy. 30 day minimum stay. **Many communities require application fees. These fees are not included within the quote, please call office for more information (239) 949 -0404 ONLINE BOOKINGS: If booking online please allow us 24 hours or until the next business day to confirm your reservation. Your reservation is not confirmed until speaking with a member of our team. 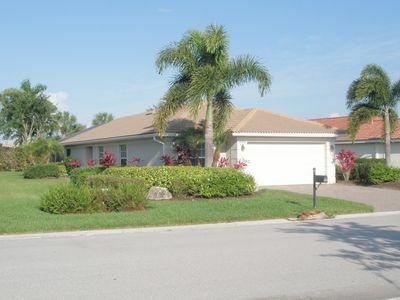 BEAUTIFUL WELL MAINTAINED 3 BED 2 BATH HOME, LARGE SCREENED LANAI EQUIPPED FOR RELAXING OR DINING. STUNNING STAINLESS APPLIANCES, GRANITE COUNTER TOPS, IN HOME LAUNDRY ROOM. FULLY FENCED REAR YARD FOR YOUR SMALL DOGS, THE LANAI EVEN HAS A DOGGY DOOR FOR YOUR PETS EASY ACCESS TO THE REAR YARD. KING SIZE PILLOW TOP BED IN THE MASTER BEDROOM, QUEEN SIZE BEDS IN THE OTHER 2 BEDROOMS. MASTER BATHROOM HAS HIS & HER SINKS WITH GRANITE, A FULL TUB FOR SOAKING IF DESIRED & A BRAND NEW BEAUTIFUL WALK IN SHOWER. PLENTY OF CLOSET SPACE IN ALL BEDROOMS. IN HOME SAFE FOR YOUR VALUABLES, SECURE CODED ELECTRONIC FRONT DOOR LOCK, ATTACHED 2 CAR GARAGE TO KEEP YOUR RENTAL CAR COOL AND OUT OF THE SUN. LUSH LANDSCAPED FR & REAR YARDS, REAR YARD OUTDOOR SITTING & SUNNING AREA. ALL UTILITIES, CABLE TV, WI FI INTERNET & LAWN SERVICES ARE INCLUDED IN YOUR RATE. Recently renovated 3/2 single family home with a HEATED private pool and Jacuzzi. New kitchen includes all stainless steel appliances with re-faced cabinets and breakfast nook. Master bath has just been completely remodeled with beautiful new tile and rainfall shower. Master bedroom is fitted with a brand new (Nov. 2018) KING size, Simmons Beautyrest mattress. The two guest bedrooms are furnished with queen bed sets. Matresses and pillows are covered in hypoallergenic protectors that are professionally washed in between every tenant. House is close to I-75, RSW (Fort Myers) airport Mirormar Outlet Malls, Gulf Coast Town Center Mall, and many other places to shop and dine. Neighborhood is friendly and safe and owner has staff on call should anything be needed. This 2500+ sq ft home boasts 4 BRs (Master King, 2 Queens, 1 w/ Twins), 2.5 baths, gorgeous open kitchen and breakfast bar. Expansive 2 story living room and foyer, huge covered rear lanai with over sized comfy seating and TV, plus a large pool, and spa that waterfalls into the pool. Large formal dining room, tray ceilings in master and kitchen, and abundant storage throughout. Two car garage, bikes, gas grill, with community pool, fitness center, tennis courts, billiards, and pickle ball a short walk by the club house, in the beautiful and quiet gated community. Plantation shutters just installed, Solar shades installed in the family room and kitchen with roller shades in the master bedroom for privacy. 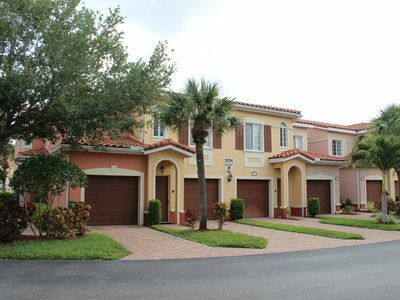 This beautiful 3 bed 2 bath energy friendly home is located within the lovely Reserve at Estero Gated & Secured community. Come enjoy all the beautiful Southwest Florida climate has to offer. Enjoy your very own Salt water heated pebble tech enclosed pool, boasting with gorgeous tropical foliage, relaxing seating areas and your very own outdoor kitchen that features a large Webber grill, granite counter tops, refrigerator and sink. Enjoy evening meals outdoors under the moonlight. Located less than 5 minutes from I-75, Miromar Outlets, Gulf Coast University, Germain Arena, restaurants, golfing and Beaches Galore. 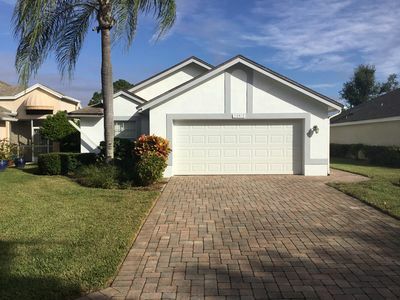 Located minutes to so many conveniences including I-75, Southwest Florida International Airport (RSW), FGCU, Costco, Coconut and Miromar Outlet Malls, Gulfcoast Town Center, golf, tennis, yoga, boating and nature retreats. Watch a hockey game or attend a concert at Germain arena, play beach volleyball at Estero Community Park, fish/grill on the beach at Wiggins Pass, swim/parasail at Barefoot beach, visit library, post office, restaurants, movie theaters, and entertainment scenes in this highly desirable location in SW Florida This two story 1,820 sqft. townhouse offers attached living with the convenience of a condo but the living area and feel of a single family home. This beautifully appointed and meticulously maintained home includes three bedrooms, two and a half baths plus a one car garage, a screened lanai and peaceful lake view. Features include a great room floor plan with dark, rich-cherry like floors, high end fixtures and fans, eat in kitchen plus upstairs bedrooms and laundry upstairs, too. 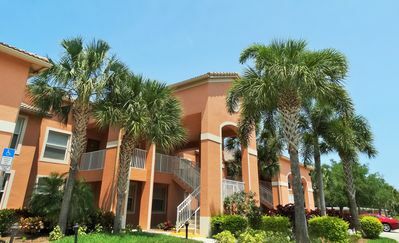 The amenities at Heatherstone of Rookery Pointe include community clubhouse, media room, community swimming pool, fitness center, meeting room/lanai/patio, children's playground, basketball court, inline skating and tennis courts. 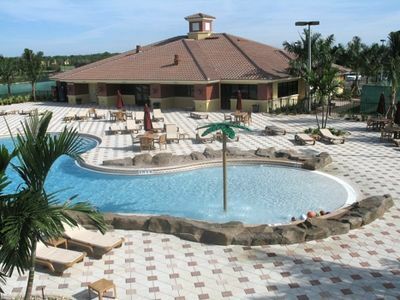 The Reserve at Estero Pool Home, 3B/2B, 10 min to Malls, Beach, RSW and FGCU! Welcome to open concept living in The Reserve at Estero, a gated community with a large community pool, exercise room, billiards room and library. Home has king bedroom, with master bath, a queen bedroom and a twin bedroom (1 twin bed), sleeping for 5 adults. Enjoy meals at the counter top bar in the kitchen, in the dinning room with seating for 6 or on the lanai with seating for 4. Cook in the Gourmet kitchen with granite counter tops and back splash, gas stove, microwave, dishwasher and essential kitchen items to cook, bake and dine. Enjoy the Weber Genesis natural gas grill on the lanai for grilling. Cool off in the pebble coat pool or heat up in the spa. You are just minutes away from the airport and some of the best shopping that SW Florida has to offer (Miromar Outlet, Coconut Point and Tangier Outlet). Unit contains Full sized washer and dryer and a 2 car garage! Beautiful, fully updated and furnished courtyard home in the gated community of Grandezza Estates. Enjoy 3 bedrooms/3 bathrooms that includes a private cabana suite off of the courtyard. 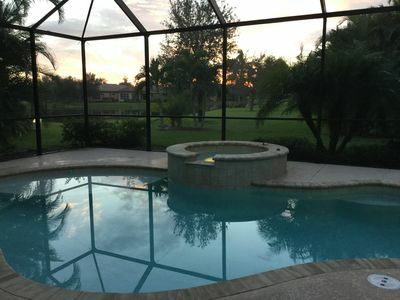 In addition to the outdoor courtyard which houses your private heated pool, you will enjoy a private lanai off of the great room and master bedroom that looks over a large pond with lighted fountain. Private garage and in home laundry. Granite counter tops, stainless steel appliances and 12 foot waffle ceiling are just a few of the homes' upgrades. Home is close the Fort Myers airport and a 2 minute drive to Miromar Outlet Mall. No outdoor maintenance required as fully covered. No smoking and small dogs only (under 20 lbs); no other pets. First floor Condo - Lake Views - Garage - Beautiful Villagio Community! Amazing Views! Enjoy this spacious 2 bedroom, 2 bath first floor condo in Villagio. Featuring quality furnishing, spacious screened lanai overlooking the lake and one car attached garage. The kitchen is overlooking the living area and features a breakfast bar and granite counter tops. You will find everything you need for entertaining! Living area with flat screen TV and WI- FI available. Master suite offers a queen sized bed and luxurious bathroom. Use the complimentary beach chairs for a relaxing day at the Gulf! Come and enjoy a Florida sunrise over the lake. Realty Group of SW Florida property code VI103. Wi-Fi available. Villagio is a beautiful landscaped, gated community located in beautiful Estero with a Mediterranean tropical flair. Villagio has its own Town Center which offers residents the opportunity to socialize at the Cafe in the morning for breakfast or enjoy a light lunch in the afternoon. The Sports Bar is open in the evening where you can enjoy a cocktail (BYOB) or enjoy a cone of ice cream. The 54 seat movie theater shows movies 5 nights a week. The fully equipped gym has the right equipment to keep you fit and in shape. Hard Surface Tennis courts are available for Tennis enthusiasts. Villagio Condos amenities also include 2 Pools and a Hot Tub. Three month minimum rental period per HOA. All our properties have a strict non-smoking policy. **Many communities require application fees. These fees are not included within the quote, please call office for more information (239) 949 -0404 ONLINE BOOKINGS: If booking online please allow us 24 hours or until the next business day to confirm your reservation. Your reservation is not confirmed until speaking with a member of our team. Gorgeous heated pool/spa home in Grandezza on a quiet court. Four bedrooms, two bathrooms. Western exposure with expanded lanai and lake views. Beautiful sunsets. Newly renovated with new flooring, paint, furniture, appliances. Master bedroom has a king sized bed, the others are queen. Grandezza is a wonderful community at the heart of all Florida has to offer. Close to Fort Myers airport, Miromar Outlet mall, beaches are a short drive away. Note that rates are less from May to November. UNLIMITED golf from May to November. Membership transfer fee is applicable. 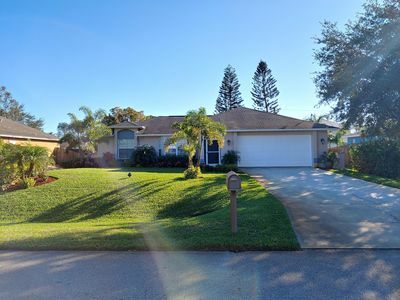 PROPERTY OVERVIEW Nestled on a serene neighborhood lake, this beautiful 3BR/2BA waterfront home offers a relaxing Florida escape. Lounge in the large open living room, unwind in the sunroom with lake views, and prepare meals al fresco on the grill. In a central locale, you'll be close to major highways, the airport, and within a half-hour drive of the beach. LIVING AREA Chic modern decor throughout the home offers a comfortable vibe. 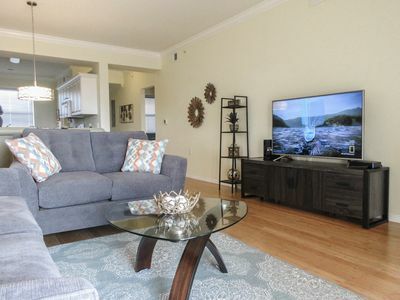 Unwind on the sectional sofa and watch favorite shows on the 50” TV with cable. The open layout offers views of the peaceful surroundings and sliding glass doors lead to the screened patio. KITCHEN & DINING Create tasty dishes in the well-equipped kitchen with a full suite of appliances. Helpful kitchen gadgets include a Keurig machine, blender, toaster, and tea kettle. When you’re ready to eat, gather at the dining table with seating for six. BEDROOMS & BATHS This home comfortably sleeps up to six guests in three bedrooms. Two full bathrooms are each stocked with a complimentary starter supply of toiletries and bath amenities. Find quiet privacy in the bright master bedroom with a king-size bed and 42” TV with cable. The en-suite bathroom features a walk-in shower and a walk-in closet. Guests staying in this room will enjoy private access to the patio. Both the second and third bedrooms feature large windows that let in plenty of natural light. One of these is equipped with a queen-size bed, while the other offers two twin-size beds. A guest bathroom with a tub/shower combination sits between the two rooms. OUTDOOR AREAS Enjoy the fresh air from your private, screened patio with peaceful views of the lake. Fire up the gas grill and dine al fresco at the table with seating for six, or grab a bottle of wine from the wine fridge and enjoy a night with friends. EXTRA AMENITIES & MORE DETAILS Parking is available for up to four cars in the driveway. A washer/dryer and complimentary Wi-Fi are provided. There is a communal playground available for guests traveling with children, as well as a high chair and Pack ‘n Play for those with toddlers. THE LOCATION With quick access to I-75 and US-41, this home is perfectly situated for day trips along the Florida West Coast. Hop in the car and head to St. Petersburg just 2 hours away, where you’ll find gems like the Salvador Dalí Museum. You can also reach Siesta Key in 1.5 hours for a beach-themed day trip. For those looking to stay closer to home, the Yacht Club Community Park in Cape Coral also offers beach access and is just 30 minutes away. You’ll also find plenty of fantastic shopping, dining, and entertainment close at hand with Gulf Coast Town Center a 5-minute drive away. If visiting in the spring, head to Hammond Stadium (6 miles) to watch the Minnesota Twins train, or check out the Boston Red Sox at JetBlue Park (7.5 miles). Outside of spring training, you’ll also have access to minor league and college games throughout the year. WHAT TO EXPECT FROM A PROPERTY MANAGED BY TURNKEY VACATION RENTALS TurnKey Vacation Rentals is a leading full-service property management company. We guarantee all listing information is accurate and up to date. From the moment you book, you’ll be provided timely and helpful communications regarding your trip. Upon arrival, easily access your vacation home with a keyless secure door code; no need for an in-person key exchange. Your rental will be professionally cleaned and ready for you to enjoy. You can expect all comforts of a fine hotel, including shampoo, soaps, paper products, towels, and linens. Your home will include a HomeDroid tablet (electronic guest directory) providing specific home details, local suggestions, Wi-Fi access, TV instructions, and more. If you need anything at all before, during, or after your stay, our 24/7 local team is always ready to help! 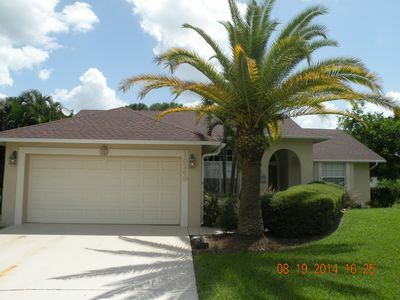 3 BR, 2 Bath, with den and extended private lanai for enjoyment of the beautiful Florida winters! This home is in the heart of it all...only 4 miles to the upscale Coconut Point mall and 4 miles to Gulf Coast Mall, 2 miles to the huge Miramar Outlets and approx. 15 minute drive to Bonita Beach. 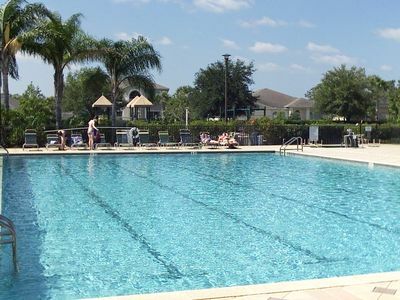 Rookery Pointe community is gated and has a jr. Olympic heated swimming pool, tennis courts, basketball court, pickle ball area, clubhouse with exercise facilities. Magnificent water view in this 2131 sq ft. coach home located in Wildcat Run golf community. Unit has 3 bedrooms, 2 baths, den and a 2 stall garage on the second floor of a 4 unit building. Enjoy beautiful sunset views over the lake from the lanai and enjoy the Cypress Cove community pool and spa. Dining access to the newly remodeled Wildcat Country Club is available for an additional fee of $500. Wildcat Run is located minutes from major shopping and SW Florida International Airport. Wildcat Run restricts rentals to a minimum of 90 days and a rental agreement needs to be presented to the association for approval. 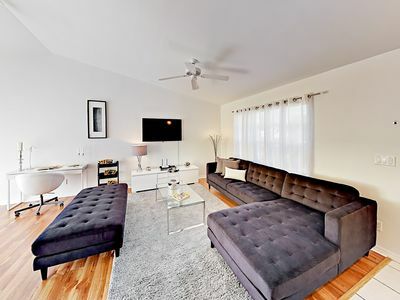 The unit is for sale so the rental agreement of 90 days would include the option to show the unit to prospective buyers by local realtors but not include open houses. Phone number to discuss rental is 239-289-1652 or 239-292-9225. Great location in Southwest Florida-short drive to it all!!! 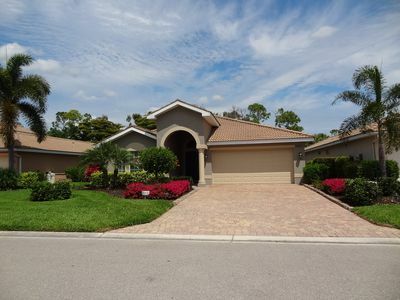 Fort Myers Estero Beautiful Pool vacation home is perfectly located in the most desirable southwest Florida Area. It is in Fort Myers the Estero area. 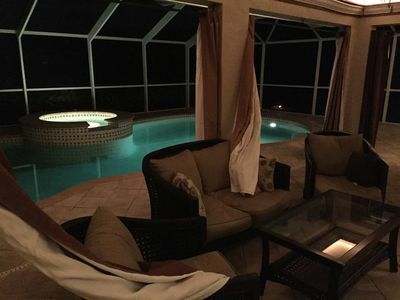 This beautiful pool home is near the Beaches, Airport, Miromar Outlets, Golf, and Spring Training. Where you can enjoy great shopping, dining, outdoor events and much more. . Enjoy outdoor living at its best where you can have your meals outside in a lanai pool deck with seating for 6 and 2 grills one gas and one charcoal for the Grill Master in You. Have a perfect BBQ evening or just enjoy your cocktails sitting in a cushion Adirondacks chair that surround the pool deck. This home has Cable TV´s in every room, DVD and a movie library. It is perfectly equipped for your comfort, with an open concept kitchen, fully arranged with a breakfast bar, Bar stools and a spacious Great room with vaulted ceilings and a formal dining room for those special occasion. The home offers Wi-Fi so you can use your own phone, tablet, or laptop. The master bedroom is professionally decorated with its own private French door to the pool lanai area. 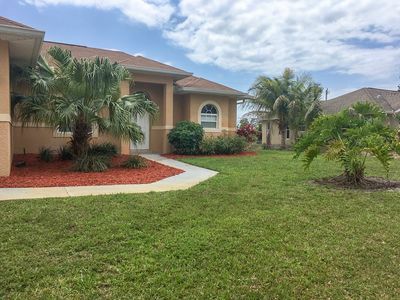 This beautiful pool home is also fully equipped with bed linens, towels, a washer and dryer, with its own separate laundry room with a laundry sink. An oversized 2 car garage for your convenience with all the beach supplies you need umbrella , chairs, rafts, beach toys for the kids, rafts and 2 bikes and much more. It offers 4 bedrooms and 2 ½ bathrooms. Don't miss this great vacation diamond on a very quiet street in a gated community. Take less than 2 minute drive to Miromar Outlet where you can find shopping possibilities, spend a night out, enjoy the live music or have a delicious dinner in one of the restaurants. Or drive just 13 minutes northwest to popular Sanibel Island. Come enjoy this beautiful perfect private pool vacation home. YOUR TOOTHBRUSH is about all you will need to bring- turnkey furnished. 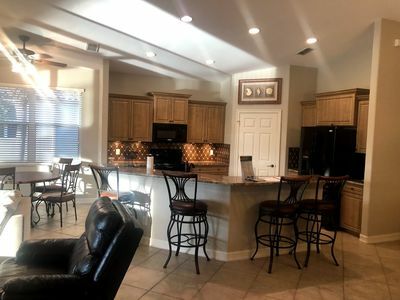 Carefree- enjoy the great amenities of a clubhouse-style community room, huge pool, gazebo, exercise room, tennis, pickle ball and basketball courts, in-line hockey rink, children's playground, screened community lanai with gas BBQ grill. Relax on the backyard paver-stone patio with lake/fountain views under the shade of a Live Oak tree. Interior features a new stainless steel French-door refrigerator, dishwasher, GAS range, microwave oven. All new paint on the inside and exterior; new fans, light fixtures and smoke detectors; new high efficiency Samsung front load washer and matching GAS dryer. Pergo flooring in all three bedrooms and the den. Open Concept, Great Room, Lanai, Kitchen with separate Breakfast Nook and Formal Dining Area, interior Laundry Room and a double attached garage. Cable TV and internet (Comcast) and all utilities included. 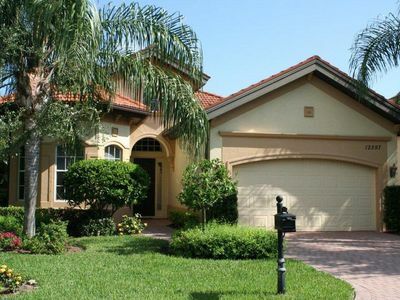 A secure, gated community and the home is on a quiet and private Cul-De-Sac location. Three bedrooms, two baths, plus den and open concept kitchen/great room with formal dining area, breakfast bar and breakfast nook. Just a few miles to the Gulf of Mexico beaches! Sorry, no pets allowed. Long stay exquisite adult gated community for the elegant traveller. Elegant bungalow, 2 + den, 2 baths, sleeps 6. Fully furnished in high-end Tommy Bahama furniture. Our beautiful home awaits you. It is a light, bright, newly decorated 2 bedroom+ den, 2 bathroom bungalow. Wake up each morning to blue skies and the sun reflecting off the lake right onto the private lanai. Enjoy your coffee and breakfast in tranquility surrounding you. If you would rather eat inside, the kitchen is right next to the lanai, dining room, eat-in kitchen area, bar-style breakfast area, and large living room (open concept). The newly renovated and freshly painted master bedroom with king-size bed, walk-in closets (his and hers), and large bathroom with 2 sinks, makeup counter, bathtub, separate shower, enclosed toilet, and linen closet will meet all your needs. 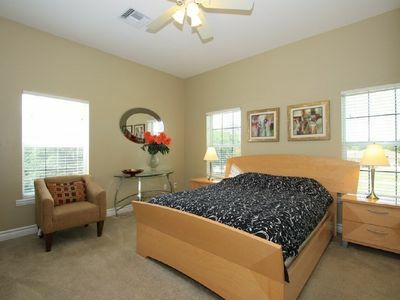 There is a brightly decorated second bedroom with a king size bed and ample storage/closet space. If you need more guest space, the tastefully finished den has a queen-size La-Z-Boy sleeper sofa with air-on-coils mattress and a large wooden study unit. If you care to entertain, the dining room is elegant to do so with a large dining table and matching hutch, overlooked by a beautiful chandelier. For a casual BBQ, you can entertain in the lanai and grill on a brand new BBQ overlooking the lake. 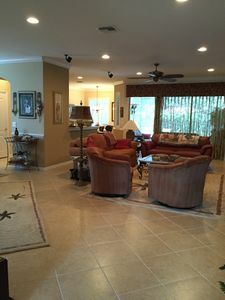 Our house is part of a mature gated community (at least one renter 55+) with multiple amenities, including various tennis courts, bocce ball courts and pickle ball courts, olympic size indoor-outdoor heated swimming pool and hot tub, and a 3-room fully equipped gym. Everything you need for a comfortable home is provided; just add your own groceries and your home away from home is awaiting you! 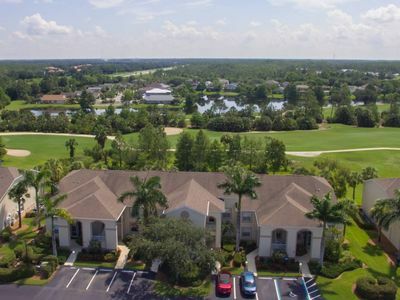 The Cascades community is about 15 minutes from the airport and 20 minutes from downtown Naples. It is 5 minutes to I-75 and 15 minutes from Bonita Beach and Coconut Point Mall, the biggest outdoor upscale mall in Southwest Florida with numerous restaurants and shops. There is also a very large outlet mall less than 10 minutes away. Grandezza - Spacious condo just steps from Community Pool! 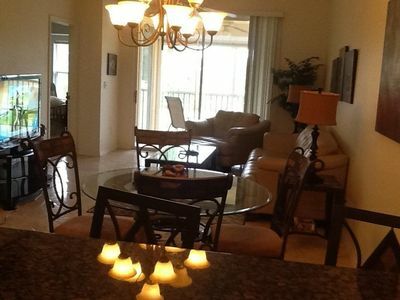 Charming 2nd floor corner end-unit in the neighborhood of Sabal Palm at Grandezza! Many windows providing natural lighting throughout, tall vaulted ceilings & open floor plan with 2 bedrooms and a den, used as a 2nd living area with a sleeper sofa and office area. This is a designer furnished, very well-equipped home away from home. Peaceful lake views from the large screened lanai, 1 car detached garage. Only 125 yards to the Sabal Palm community pool! Beach chairs and umbrellas to enjoy a day at one of the nearby beaches! Realty Group of SW Florida property code GR108. Wi-Fi available! Grandezza is a gated community located on Ben Hill Griffin Parkway, north of Corkscrew Road in the heart of Estero, FL and is easily accessible from popular locations including Southwest Florida International Airport, Florida Gulf Coast University, Germain Arena, beaches and much more. It sits on more than 425 acres with 23 lakes, surrounded by acres of lush wooded preserve area. Grandezza provides miles of winding paths for walking, or biking. Just south of the community is Grande Oakes shopping mall with a grocery store, as well as Miromar Outlets, so excellent location for your shopping and dining! * There is a mandatory transfer of club membership for all Guests of this property at Grandezza which includes full use of the Clubhouse dining, social events, community pool, fitness center and six, lighted Har-Tru tennis courts. All our properties have a strict non-smoking policy. 30 day minimum stay, due to lease limits February & March together only. **Many communities require application fees. These fees are not included within the quote, please call office for more information ONLINE BOOKINGS: If booking online please allow us 24 hours or until the next business day to confirm your reservation. Your reservation is not confirmed until speaking with a member of our team. The exclusive "Villa Belle Lago" was completely refurbished in 2017. Since the end of 2018 the property is available to rent and offers 320 square meters of living space for the whole family. From fully air-conditioned rooms, free Wi-Fi, DVD players to surround sound system, this home offers all the amenities you need to make your stay in Florida a memorable one. The fully equipped modern kitchen makes the heart of every amateur chef beat faster and the spacious adjoining dining area can accommodate 8 people. Overall, the house has four bedrooms, all with TVs. After a long shopping trip or a long day at the beach, relax in the jacuzzis. The oversized pool area invites you to relax. Enjoy the beautiful lake view from the comfortable hammock. The entire pool and terrace area is also surrounded by palm hedges and therefore not directly visible from the outside. The spacious pool area is divided into various terrace areas, of which one area is completely covered. Thus, you can decide whether you want to enjoy the sun or rather relax in the shade. To protect against insects, the terrace area is provided with screen all around and thus allows cozy barbecues by the pool until late into the night. The south-west orientation of the pool area offers beautiful sunshine all day long and in the evening you can enjoy the stunning sunset right on the lake. The spacious layout of the villa also offers a larger family beautiful open space and the equipment offers optimal living quality. The house is located in the 24-hour monitored facility Belle Lago. The quiet complex with numerous lakes and family houses is ideal for families. Among other things this exclusive complex offers a clubhouse, communal pool, gym, 4 tennis courts and a children's playground. Near the villa are the Coconut Point and the Miromar Outlet Center, which invite you to extensive shopping. Numerous golf courses in the immediate vicinity offer you in a beautiful setting the opportunity for a great tee. 2018 RENTALS WILL BE CONSIDERED IN SEPTEMBER 2017. EMAIL CORRESPONDENCE IS PREFERRED. THANK YOU. Two bedroom, 2 bath plus den condo, end unit, first floor, recently painted, tile floors, replaced carpeting in bedrooms, renovated bathrooms, waterview, 10th hole across from the golf course 10th tee. King bed in master suite with granite double sinks and newly tiled shower, queen bed in guest room. Flat screen TVs/DVD player. Table and chairs on lanai. Clubhouse includes an excellent restaurant and bar. Five pools with cabanas, tennis courts and walking paths. Golf with men and women golf and tennis leagues, community events and card/billiard room, pro shop, Nautilus fitness center are all on site. Conveniently close to Ft. Myers airport, Gulf Coast Shopping Center, Miromar Outlets and Coconut Point Outdoor Mall, one of florida's most beautiful malls filled with shopping, cinemas and dining. 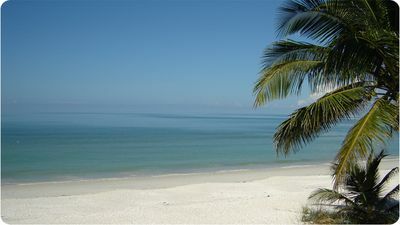 It is located on the gulf side of I-75; close to Fort Myers, Bonita Beach and Naples and Sanibel/Captiva Islands. Relax in your private home overlooking the golf course and pond! Beautiful open floorplan with a double set of doors to beautiful gardens! Private and quiet location, walking distance to all the amenities, pools, tennis courts, bike paths, Clubhouse and more! Enjoy the cook's kitchen, updated baths, spacious bedrooms, dining room opens to the kitchen and the family room, lanai and screen porch. 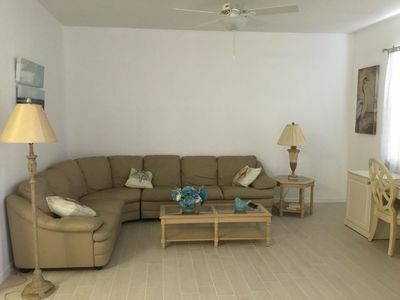 All room have ceiling fans and central air conditioning. Centrally located and easy commute!! 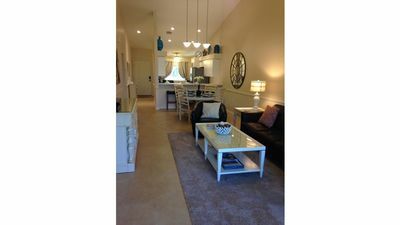 Beautiful Osprey Cove condo in Estero, Fl. Welcome to our beautifully decorated vacation home in Estero, Florida. 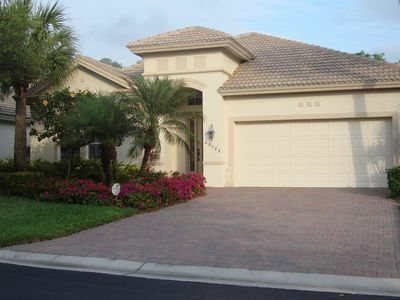 Osprey Cove is a gated resort style community surrounded by a nature preserve & water features. Many amenities including a large pool & spa (heated in winter months), club house and exercise room. Our condo is the 2 bedroom/2 bath Ashbury model with 9‘ceilings, bamboo flooring and granite counters throughout. (1300 sq/ft of living space). It’s located on the 3rd floor, but don’t worry about taking the stairs, there’s an elevator for your convenience and the carport parking space is steps away. Enjoy sunrise breakfasts in the fully equipped eat in kitchen with everything needed to prepare all your meals. Large pass thru from kitchen into the open concept dining room/living room. Relax in the large living room on new stylish furnishings with a 50” LCD TV, cable and high speed wireless internet. Retire to your master suite: king bed, his & hers walk in closets for ample storage, 40” LCD TV, and 3pc ensuite bathroom. 2nd bedroom has twin beds, large closet, wall mounted TV. Main 4pc bathroom with washer/dryer. Large private screened lanai has comfortable seating with ceiling fan that looks out onto a nature preserve and lake. Great to enjoy a cocktail and watch the beautiful skies as the sun sets. You will find beach chairs and an umbrella waiting for you in the storage unit just outside the condo. 15 minutes from the airport. 10-15 minutes to Coconut Point, Gulf Coast and Miromar malls. 6 minutes to golf courses. 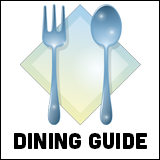 Many restaurant and beach options…Lover’s Key - Bonita Springs, Ft Myers beach, Vanderbilt beach - Naples. 2 minutes to Walmart for everyday needs. If you wish to see the condo before booking please contact our property manager, Nancy Singleton at 239-222-3061. edsing@ Condo association rules require 30 day minimum rental periods. Upon booking, a condo association agreement including rules/instructions must be completed and approved by the HOA. Photo ID is also required. No pets. Beautiful 1 story villa (no stairs!, no one above you!) overlooking the 11th green of the golf course. Close to beach, shopping (Miromar Outlets and Coconut Pointe Mall), places to eat. Villa features a front and rear lanai. Spacious, open floor plan, pocket door to separate guest bedroom area. Enjoy nightly dinner specials in the totally renovated Club House. Beautiful community. Keep to yourself or participate in the many activities Country Creek offers. Come relax and enjoy the best that Southwest Florida has to offer. Keywords: The Villages at Country Creek features a full service, recently renovated Club House serving great food in the 150 seat restaurant. Bar area featuring specials. You can also enjoy their 5 relaxing pools with cabanas, tennis courts and peaceful walking paths throughout this almost 300 acre Country Club. Country Creek also offers A Pro Shop, Nautilus fitness center, card room and billiard . Country Creek features a beautiful 18 hole executive golf course which is very reasonably priced. ED Refnr. 1838292 Year round sunshine, exclusive golf courses, beaches, fishing, upscale shopping, fine dining and relaxation. Just Relax in our Larino Loop Townhouse......a comfortable and inviting 3 bed / 2.5 bath home (2282 Sq Ft) in the beautifully manicured grounds of Bella Terra, Estero. A truly relaxing and comfortable getaway with everything at your doorstep! Throughout the home you find custom paint, tasteful designer quality window treatments and many other special touches. On the ground floor it offers an open concept kitchen, which is beautifully appointed with corian counters, solid wood cabinets and all the mod cons. It has two 4 seater dining areas. The first floor also features a half bath/ laundry room. Livingroom and dining area with sliders are open to the Lanai. Sit outside on the screened lanai and enjoy the southern flair amidst a beautiful splendour of plants... Second Floor The second floor consists of a master suite with an impressive King Size bed and its own private bath with a walk in closet. The two guestrooms are also tastefully decorated, with walk in closets and one bathroom. All furniture is new with 2 large flat screen tv's with dvd player. Cable, security, and wireless internet are all included. Tropical pool & SPA Our home is located within walking distance to the tropical pool and the uncountable amenities the community has to offer: a massive 7000 sq.ft. Clubhouse with a resort style pool & spa with waterfall. Very close to the pool, you can slip into the silky water whenever you like! The grounds also include bocce ball, tennis courts, sand volleyball courts, in-line skate hockey court, soccer, and a baseball diamond. There is also a playground for the kids! Please note: Rental approval by the Bella Terra association is needed. An American rental agreement (between the landlord and the tenant) has to be signed min. 6 weeks prior to your stay. Extra costs : Visitor's tax: no visitor’s tax (Mandatory). Climatisation / Ventilators: included in price (Mandatory). Final cleaning: once per object Costs amounting to 150 EUR (Mandatory). Towels: per object and day available and included in price (Mandatory). Bed linen: per object and day available and included in price (Mandatory). Electricity: per object and day included in price (Mandatory). Parking facilities: per object and day included in price (Mandatory). Internet: per object and day included in price (Mandatory). Pet: per object and day according to consumption (Mandatory). ** VILLA LARINO in gated Bella Terra community ** +++ Please note: MIN. 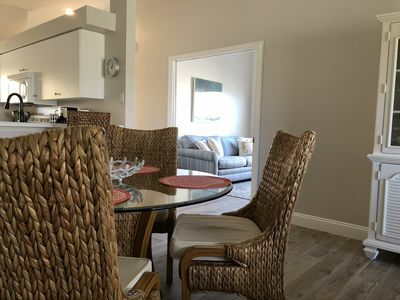 RENTAL TIME FROM JAN -APR 2019 IS 3 MONTHS ++++ Year round sunshine, exclusive golf courses, beaches, fishing, upscale shopping, fine dining and relaxation. Just Relax in our Larino Loop Townhouse......a comfortable and inviting 3 bed / 2.5 bath home (2282 Sq Ft) in the beautifully manicured grounds of Bella Terra, Estero. A truly relaxing and comfortable getaway with everything at your doorstep! Throughout the home you find custom paint, tasteful designer quality window treatments and many other special touches. On the ground floor it offers an open concept kitchen, which is beautifully appointed with corian counters, solid wood cabinets and all the mod cons. It has two 4 seater dining areas. The first floor also features a half bath and a laundry room. Livingroom and dining area with sliders are open to the lanai. 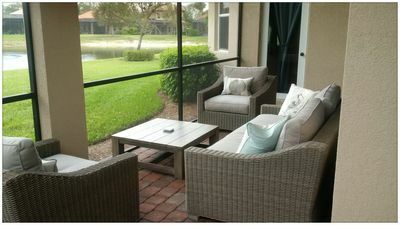 Sit outside on the screened lanai and enjoy the southern flair amidst a beautiful splendour of plants... The second floor consists of a master suite with a king size bed and its own private bath with a walk-in closet. The two guestrooms are also tastefully decorated, with walk-in closets and a shared bathroom. All furniture is new with two large flat screen tvs and dvd player. Cable and wireless internet are included. Tropical pool & spa Our home is located within 1 minute walking distance to the huge tropical pool and the uncountable amenities the community has to offer: a massive 7000 ft. Clubhouse with a resort style pool & spa with waterfall. Very close to the pool, you can slip into the silky water whenever you like! The grounds also include bocce ball, tennis & pickleball courts, sand volleyball courts, in-line skate hockey court, soccer, and a baseball diamond. There is also a new playground for kids. The Bella Terra community has a beautiful, spacious feel with many lakes giving you a true vacation feel. It is a 1000 acre planed community with 100 acres of lakes and 400 acres of preserve. Bella Terra is situated in the heart of the "Village of Estero" (founded in 2014) just North of Naples - and only minutes away from the SW Florida International Airport, Gulfcoast Towne Center Mall, Coconut Point Mall, Miromar Outlet, Germain Arena and white sugar sand beaches of Bonita Beach and Fort Myers Beach. The award-winning Jack Nicklaus designed Old Corkscrew Golf Course and the recently updated Stoneybrook Golf Course are just 3 miles away. KIDS & PETS are welcome! We offer a stroller, highchair, child's car seat, baby crib, kid's bikes, toys etc. "Villa Larino in Estero" - find more information & pictures online! Bella Terra - Beach Style First Floor Condo with Lake Views! This new decorated first floor unit in the Community of Bella Terra features two bedrooms and two baths. Fully equipped kitchen with stainless steel appliances and bar, opening up to the living and separate dining nook. The living features an inviting seating area with flat screen TV, and has sliding door to the patio. Enjoy the beautiful lake view from the living and screened in lanai. Flat screen TV in the spacious master bedroom, and walk-in shower in the master bathroom. Shower-tub combination in the guest bathroom. This unit is located at walking distance from the pool for the condos at Barletta, and also close by the Bella Terra Clubhouse and amenities. Realty Group of SW Florida property code BT913. Wi-Fi available! The community of Bella Terra is an upscale community that is very determined to keep its residents busy. The amenities offered include a very large resort style pool, basketball courts, tennis courts, volleyball, in-line skating rink, playground, event room, library, fitness center, and many miles of walking/biking paths. In addition to the many amenities the community also has a 24 hour gate with guard for your safety. Bella Terra is located on Corkscrew road, within minutes of shopping and entertainment... Miromar Outlets, Coconut Pointe Mall and Gulf Coast Town Center. The central location allows quick access to multiple local beaches from Naples to Fort Myers. These many features make Bella Terra a wonderful choice for your vacation getaway! All our properties have a strict non-smoking policy. 30 day minimum stay **Many communities require application fees. These fees are not included within the quote, please call office for more information (239) 949 -0404 ONLINE BOOKINGS: If booking online please allow us 24 hours or until the next business day to confirm your reservation. Your reservation is not confirmed until speaking with a member of our team. YOUR DREAM PRIVATE 5,259 Sq. Ft VACATION Villa IN THE HEART OF ESTERO FLORIDA!!! Happiness will be found here! YOUR DREAM PRIVATE 5,259 Sq. 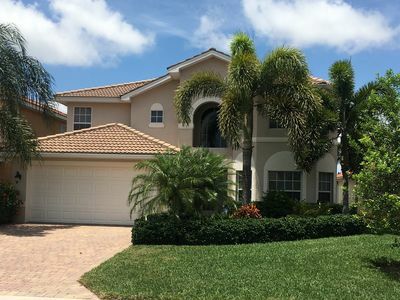 Ft VACATION Villa IN THE HEART OF ESTERO FLORIDA!!! Located in the heart of Estero between Naples and Fort Myers, just minutes away from Coconut Point Mall, Multiple High End and Family Restaurants, Miramar Outlets, SWFL International Airport, Barefoot and Bonita Beaches, Kayak and Canoe Rentals on the Estero River etc., etc., Welcome to our custom designed VACATION VILLA AT: 20661 Tanglewood Lane, Estero, FL 33928. 6 BEDROOMS – 4 BATHS, Sleeping 12 comfortably!! First Floor: •	Kitchen. •	Kitchen Dining Area. •	Dining Room. •	Music Room. •	Master Suite, with a walk in closet and spacious bathroom, tub and shower. •	Guest Bedroom with a Pull-Out queen size Sofa Bed. •	Guest Bathroom with bath tub/shower. Serves also as the bathroom for the pool area. Second Floor: •	4 spacious Bedrooms with spacious closets. •	2 Bathrooms, bath tub/shower. In a paradise of privacy, nested on almost an acre of pristinely manicured grounds complete with an installation of soaring palm trees overlooking a pool and a spa fit for a high-end resort. This home is perfect for Weddings and/or multiple families with a spacious living room that opens to an expansive covered porch in the back offering stunning views of the backyard oasis, HEATED POOL AND SPA, as well as the porch in the front facing west that offers the perfect breakfast setting. Ups! Almost forgot the hammock in the back yard inviting you for the quiet reading of your favorite book or, the nap you have been longing for in a quiet, private setting. This two story dream home was laid out as our own dream home with a grand first floor master and guest- suites available on the first and second floors, including everything you will need from Silverware, Jura Coffee Maker to bedding and towels, etc., etc., all brand new!! No smoking allowed. Pets allowed. Please note that our HOA recently informed us that we are restricted to renting our house at no less than a 30 day minimum. 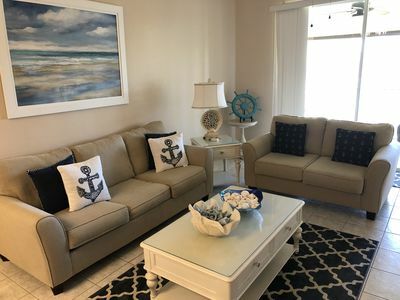 Haven said that, we offer our beautifully decorated, newly remodeled vacation home with three bedrooms and two full baths. The house includes a 60 inch curved smart TV in the living room, WI-FI and full cable package. All three bedrooms are tastefully decorated that include HDTV and new mattresses (2 King, 1 Queen). The lanai has a propane fire pit and a barbecue. There is a two car garage with an electric car opener. The house is completely furnished with a washer and dryer, air conditioning and dishwasher. Also included is every pot, pan and appliances known to mankind. A community swimming pool and hot tub is within 2 minute walking distance. The house is located in Country Creek Estates that includes a 18 hole Executive golf course, fitness center, five swimming pools, tennis and pickle ball courts. There is also a club house with a bar and restaurant. The Sunday brunch is one of the best buys in Florida which we highly recommend. The neighborhood is within the safest zip code in Florida and the neighbors are very friendly. Lastly, smokers, pets and large parties are not permitted at the house. Spectacular lakeside 3500sq foot property overlooking the 16th hole with exceptional high spec facilities. Beautiful interiors with breathtaking views from the private pool and large patio. Elegantly, tastefully furnished and styled with comfort and entertainment in mind. Fully equipped kitchen with high spec appliances and finishes. The palatial entrance opens onto a beautiful reception salon overlooking the pool and lake through an invisible wall. To the right is a columned dining room with coffered ceilings and chandelier and some of the guest rooms. The enormous kitchen extends to a breakfast area and Great Room with feature media centre and comfortable sofas and chairs. There is direct access to the screened private pool and large grill area from the kitchen and lounge where 3 seating areas, large marble dining table, sunloungers and outside shower and bathroom facilities can be found. There are 2 guest rooms (one double and one twin room) overlooking the shaded coffee terrace and palm tree, both with private dressing rooms and ensuite shower rooms. The 3rd guest room is also used as a tv den with a comfortable sofa bed, beautiful bedding and direct access to the pool. The Master Suite also has direct access to the pool and comprises of a giant 4 poster bed, enclosed TV, His and Hers separate dressing rooms, enormous ensuite with large bath, triple basins and oversized walk in shower. The 3 car garage has 4 bikes, table tennis and luxury pool floats. A private golf cart is there for your resort use. 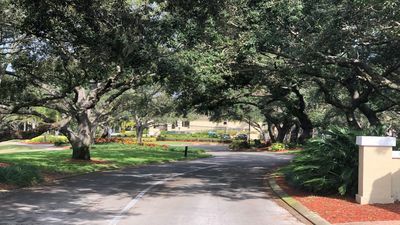 20 minutes from Naples, Downtown Fort Myers and the Beaches, Fiddlesticks Country Club (www.fiddlestickscc.com) is an award winning, gated resort with 2 courses and twin island holes. There's a beautifully landscaped resort heated pool and cabana bar restaurant just 3 minutes in the golf cart from the house. The tennis courts and fully equipped gym are across from the valet parking Club House, pro-shop, bar and formal and informal dining restaurants. There are 450 beautiful , individually commissioned homes, with exceptionally maintained gardens, fountains and lakes. Southwest Florida Airport is 12 minutes away, and there are supermarkets, pharmacies, dentist, hair and nail salons, restaurants and interstate routes within a mile. There are designer malls and quality Outlet stores within 20 minutes drive, and in 1-3 hours you can be Gator gazing in the Everglades, indoor skydiving in Ft Lauderdale, at Disney or Universal Studios in Orlando or simply enjoying the over 40 spectacular golf courses on your doorstep. Terms of hire: A $1000 deposit is required which is refunded after your stay. There is a cleaning fee of $400 per stay. Damages must be reported and if necessary, paid for. 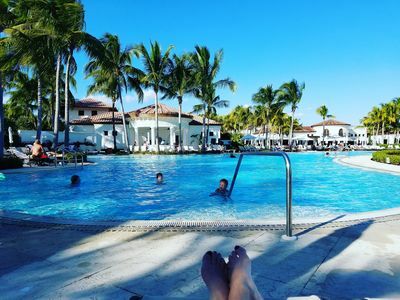 There is a heated resort pool at the cabana; should you require the private pool to be heated the cost of this will be payable at $200 per day. $300 per month allowance given for utilities, any excess bills will be chargeable. Lost keys or fobs will be charged for. 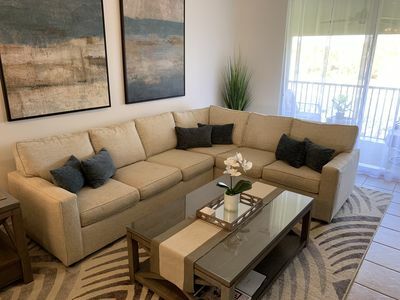 Our newly renovated and beautifully furnished two bedroom and two bathroom condo is located in Stoneybrook Golf Community overlooking stunning views of the golf course. The community offers many state of the art amenities, including a 18 hole pay as you play public PGA golf course. Also included are three swimming pools, fitness room, bocce ball, tennis courts and both a basketball and volleyball court. The beautiful Bonita Beach, Barefoot Beach, Fort Myers Beach, Naples beaches, and Marco Island are all within close proximity. 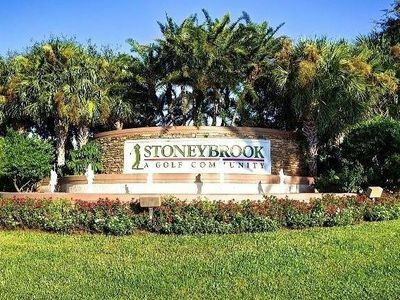 Stoneybrook is located in the center of Estero, conveniently next to high-end shopping at Miromar Outlets, Southwest Florida International Airport, and I-75. Coconut Point, Gulf Coast Town Center and many restaurants are within a 10 minute drive. This professionally decorated condo has vaulted ceilings and a beautiful view overlooking the fairway. Our open concept, fully equipped kitchen and family room are furnished with a queen sofa sleeper bed and a 55" flat screen tv. The dinette can accommodate 6 comfortable plus 3 seats at the kitchen island. The master bedroom is large with a king size bed and beautiful comforters with heavenly sheets. It also offers a bay window with seating and entrance to the lanai. Full internet and cable services are included, one covered parking space and plenty of guest parking spots available. STONEYBROOK ESTERO, FL, YOUR, LEISURE/GOLF/BEACH/SHOPPING, DREAMS AWAIT YOU! Your leisure/golf/beach/shopping/DREAMS await you in this tastefully newly renovated and newly furnished 2 bedroom 2nd floor condo. The condo features new stunning ceramic floors throughout. Open concept easy to maintain. The furniture is all top designer and tastefully matched. A place to be truly comfortable and proud to stay. The vaulted ceilings give a great feeling, with a lovely view overlooking the 11th fairway. Everything is included from fully furnished kitchen, with new Frigidaire and Dishwasher (Gallery Collection, Stainless Steel Smudge proof). King size bed in master and 2 twins in guest bedroom, complete with linens and TV's,, the living-room Italian leather couch (Natuzzi), has a queen hide-a-bed next to the matching leather recliner and barrel chair in front of the flat screen TV basic cable and with attached CD player, YES WIFI IS INCLUDED. If this is not enough it is in a 24 hour gated community featuring, pay as you go PGA Award winning registered golf course, swimming pools, hot tub, 24 hour fitness room, outdoor roller rink, tennis courts, bocce courts, beach volleyball, recently installed lacross nets, baseball diamond.... I know I am forgetting a lot. We are located close to the Miromar Outlets, I-75 Highway, only 9 minutes to Ft. Myers Airport (RSW), Coconut Point Mall, Restaurants, are not far. There are many Beaches to choose from, Barefoot Preserve Beach, Naples Pier Beach, to mention a few. Did we mention covered parking with storage in front that has beach chairs and umbrella, beach towels available and a cooler? Call and take advantage of your best vacation experience ever. Bright and sunny condo located in Estero, Florida. Which is a 10 minute drive from the Fort Myers International Airport. Estero is situated between Fort Myers and Naples with many beaches, shopping and restaurants. This condo conveniently has Miromar Outlets and restaurants across the street from the gated community of Stoneybrook Golf Course . The Condo is in the gated community of Stoney Brook on a PGA rated golf course with 24 hour surveillance. Also included are a tennis court, basketball court, volleyball court, bocce ball, fitness gym, hot tub and three heated pools plus more .. The condo is freshly painted, it also has vaulted ceilings, You have privacy and view of golf course on the 9th hole and a view of the lake and stunning sun sets. It has a renovated en-suite bathroom with a glass enclosed walk-in shower. The kitchen cabinets have been upgraded, newly furnished with high-end modern furniture with a big 4K UHD TV, and full internet and cable service. The kitchen is fully equipped with a breakfast island and 3 bar stools, plus a stainless steel dining table that seats up to six. Enjoy entertaining in the spacious open concept kitchen, living and dining room. The dining and living room has sliding doors which open to a screen enclosed lanai facing south west golf course view from balcony . Giving it lots of sun light and beautiful sunsets which gives it a tropical feel. 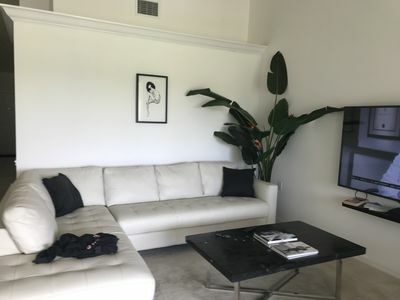 The living room area includes a comfortable leather sectional sofa and small leather sofa chair. The wicker patio furniture is cozy and seats four. Master bedroom complete set with king size mattress, you will enjoy the tranquility of this relaxing and fresh bedroom. The second bedroom has two twin beds for your guests. One covered parking spot and one guest parking spot out front, foot steps away from shopping and all amenities. ESTERO IS CONVENIENTLY LOCATED IN BETWEEN NAPLES AND FORT MYERS. GATED COMMUNITY. 2 BEDROOM , 2 BATHROOM PLUS DEN CONDO., WITH LAUNDRY. POOLS CLOSE BY. JOG, WALK AND FISH IN THE BEAUTIFUL COMMUNITY. GOLF COURSE VIEWS FROM YOUR LARGE BALCONY WITH TREED PRIVACY. CERAMIC TILED THROUGHOUT AND FRESHLY PAINTED. NEWLY FURNISHED AND WELL APPOINTED CONDO, MIROMAR OUTLETS AND RESTAURANTS ACROSS THE STREET. A 15 MINUTE DRIVE TO THE AIRPORT. RESTAURANTS AND OTHER MALLS ARE ALL WITHIN A SHORT DRIVE or WALK. BEACHES ARE 15 MINUTES AWAY. MONTHLY RENTAL ONLY . $4500 USD per month min plus fees/taxes. 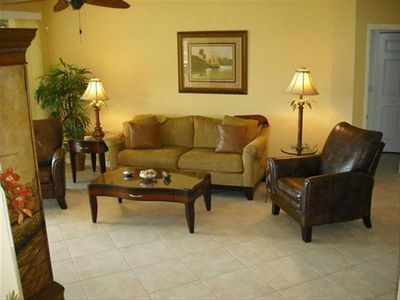 Beautifully furnished walkout condo situated amongst Florida's most pristine PGA Golf communities. This vacation resort is perfect for any vacationer. The Condo offers tile throughout, as well has a newly upgraded Kitchen with granite countertops throughout. This vacation unit features volume ceilings with open concept. Stoneybrook village offers 3 spectacular pools, pay as you play golf, Bocce ball, volleyball, basketball, baseball field, inline skating, tennis and a newly remodelled club house and Fitness Centre. Stoneybrook is centrally located to fine dinning and impressive shopping. Located within walking distance to The Miromar Outlets and Germain Arena, a 10 minute drive to The Coconut Point Mall. 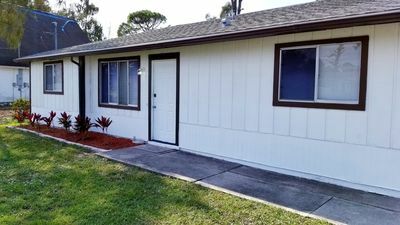 It is also conveniently located within a 10 minute drive to the Southwest Florida International Airport (Fort Myers) and an excellent location to the 1-75. 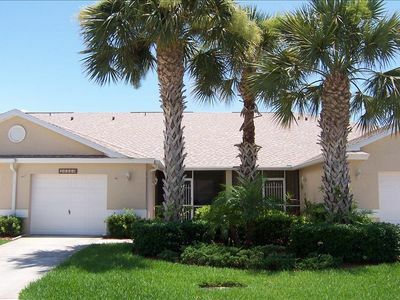 Located 17 minutes away from Bonita Spring Beach, and 20 minute drive to Fort Myers Beach.